Volvo Construction Equipment moves into a new dimension to assist customers in supplying spare parts, and as part of its commitment to the research and development of new products. Additive manufacturing – as 3D printing is commonly known – is the process of repeatedly layering a molten material or liquid in a specific pattern that is set by the printer’s software, until it solidifies into the required three-dimensional shape. For its aftermarket service, Volvo CE commissions the creation of spare parts made of thermoplastics to send to customers who require the replacement of a part that has worn out through natural usage. Parts can be made of any shape and size, and for any unit in Volvo CE’s range of off-road machinery. Typical parts made by 3D printing so far include parts of a cabin, plastic coverings, and sections of air conditioning units. 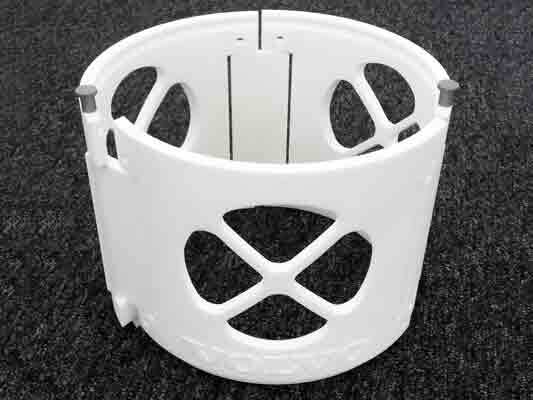 The company uses its own archive of drawings, 3D models and product information to feed into the printer to produce the correct new part. “As we only need to produce low volumes of parts for prototyping, it’s a good way to see what works,” says Fredrick Andersson, Development Engineer for Wheel Loaders Powertrain Installation at Volvo CE. “We have a lot of knowledge and we can make changes quickly and easily with 3D printing. And because of this, it means that the time to market for a new product is quicker, so it’s of great benefit to our company.